C225 Model knife very safe, hold comfortable and easy carry, a durable knife can be used as a camping, hiking, hunting and daily knife. Canku folding hunting knives made of D2 steel blade and G10 steel handle. Pocket knives overall length: 8.27 inch. D2 Blade knives has strong corrosion resistance. Blade length: 3.9 inch. Unique handle design with hold the handle better and anti-skid. Survival knives hardness : 58-59 HRC and weigh 4.2 oz. 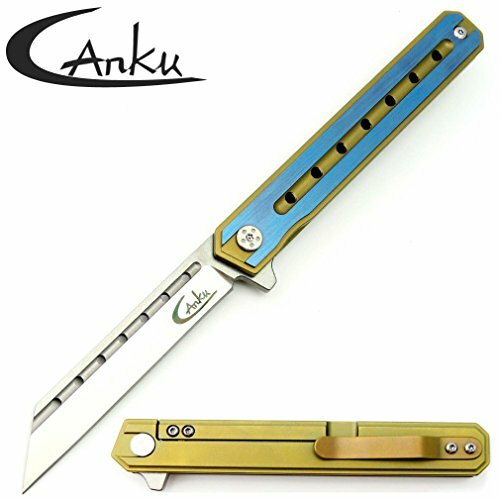 Canku professional outdoor camping knives, our folding knives fully qualified, it is an excellent choice for outdoor fancier. If you have any questions about this product by Canku, contact us by completing and submitting the form below. If you are looking for a specif part number, please include it with your message.